Recipient of an artist fellowship from the Independence Foundation—awarded to a small number of exceptional artists in the region—violist David Yang has been described as “a conduit for music”. The all-around renaissance man has forged a career that is a unique blend of performing, storytelling and composition. David has collaborated with members of the Avalon, Borromeo, Brentano, Miro, Muir, Tokyo and Vermeer string quartets, as well as Solisti, Cavatina, and Eroica Piano trios. An active advocate for new music, he has commissioned dozens of new works. Currently Artistic Director of the Newburyport Chamber Music Festival and Director of Chamber Music at the University of Pennsylvania (as well as assuming his role as leader of the storytelling music troupe Auricolae), he has developed a residency program to foster the creation of new compositions by public school students in Philadelphia. 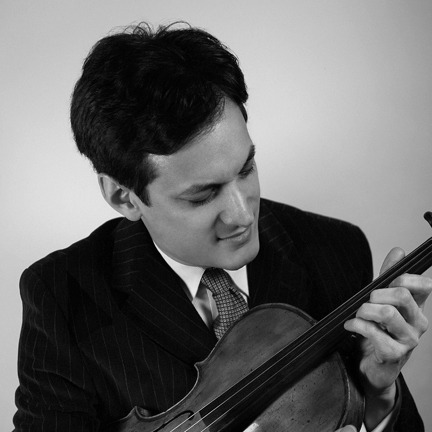 He is a member of the string trio Ensemble Epomeo based in the United Kingdom. Their premiere recording, “The Complete String Trios of Hans Gal and Hans Krasa”, was designated “critic’s choice” in Gramophone Magazine (“A splendid disc I cannot get enough of…” ) and the Strad Magazine (“…a brilliant revelation… unforgettable…. superb performance”). Their second CD of string trios of Schnittke, Kurtag, and Penderecki received four out of four stars from the London Independent Newspaper. In 2016, they began recording the complete string trios of Beethoven for the Avie label.